As a happily married, once divorced, adult child of divorce, Jamie’s insight into marriage and divorce are unparalleled and impacting lives from courtrooms, workshops, seminars, pulpits, and across the world wide web. 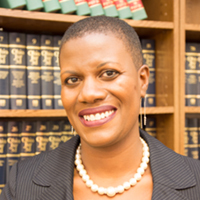 Jamie earned her Juris Doctorate from Case Western Reserve University in 2001 and her Bachelor’s Degree from the University of Rochester in 1998. A professed Christian since kindergarten, Jamie and her family worship at Vineyard East Campus. If you want to be listed with Columbus Father attorneys and you represent fathers in family law matters, we have room for three more, please click here to learn more. Featured image courtesy of Tysto via Wikimedia Commons.